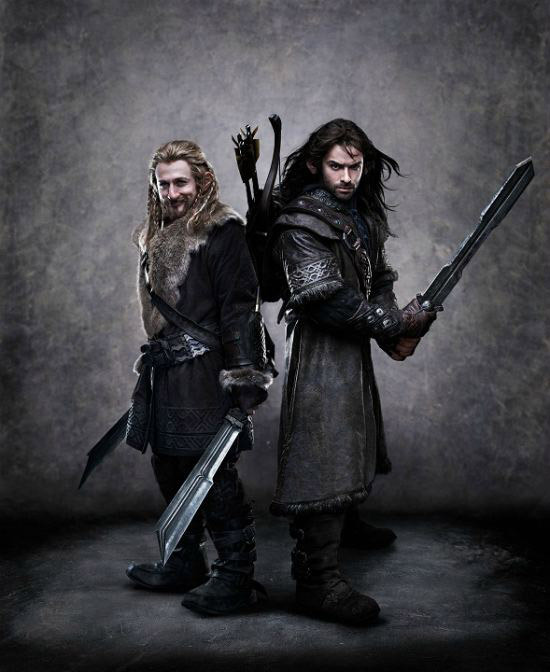 Kryptonian Warrior: The Hobbit - New Image Of Dwarves 'Fili And Kili'! The Hobbit - New Image Of Dwarves 'Fili And Kili'! Dean O'Gorman as Fili and Aidan Turner as Kili in "The Hobbit: An Unexpected Journey." Two of the youngest dwarves, Fili and Kili have been born into the royal line of Durin and raised under the stern guardianship of their uncle, Thorin Oakensheild. Neither has ever travelled far, nor ever seen the fabled Dwarf City of Erebor. For both, the journey to the Lonely Mountain represents adventure and excitement. Skilled fighters, both brothers set off on their adventure armed with the invincible courage of youth, neither being able to imagine the fate which lies before them.